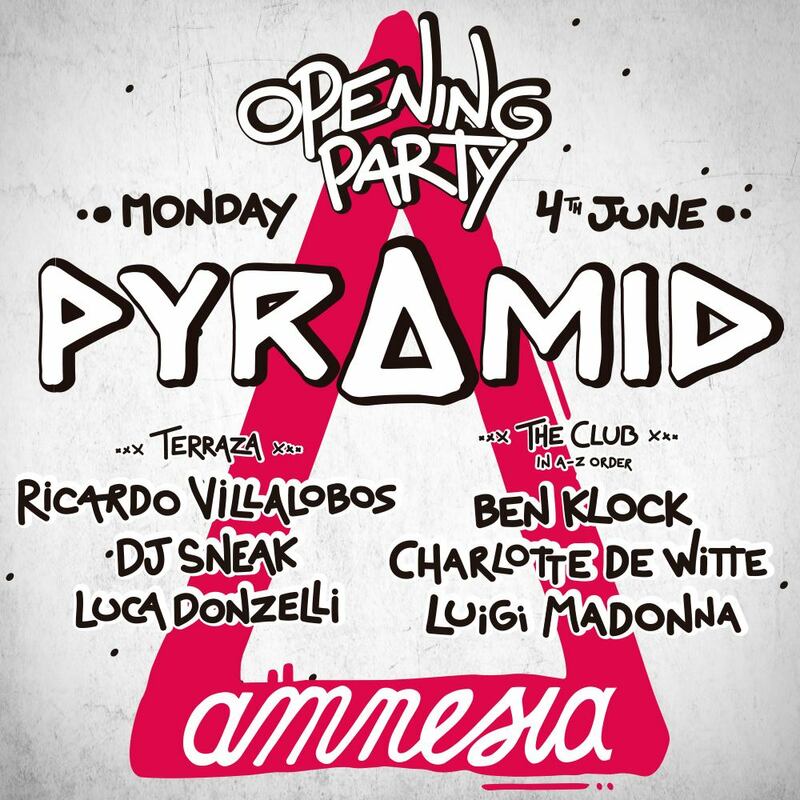 On 4th June 2018, Ibiza’s legendary nightclub, Amnesia, will launch their new Monday night Pyramid project (running from 4th June – 24th September) with a mouth-watering opening party line up to kick the season off in style. The 17-week event series curated by Amnesia in collaboration with Keep On Dancing and Game Over (who’ll also be hosting a few events in the club room throughout the season), promises to see the return of old Ibiza vibes and to ‘bring back the best’ with some of the biggest names in dance music and the coolest up-and-coming artists performing week-after-week. Pyramid’s special opening party will see a very familiar face for many years on the Terrace, Ricardo Villalobos, play alongside House Gangster DJ Sneak and one of Italy’s hidden gems, Luca Donzelli. In the club room, Berlin’s modern techno pioneer, Ben Klock will be performing alongside Amnesia first-timer Charlotte de Witte and the Italian Luigi Madonna. In addition to Pyramid’s stellar opening party line up, Amnesia are also proud to announce, as part of their new event series, on 23rd July Hamburg’s illustrious Diynamic imprint will be hosting an unmissable one-off debut party at the club. 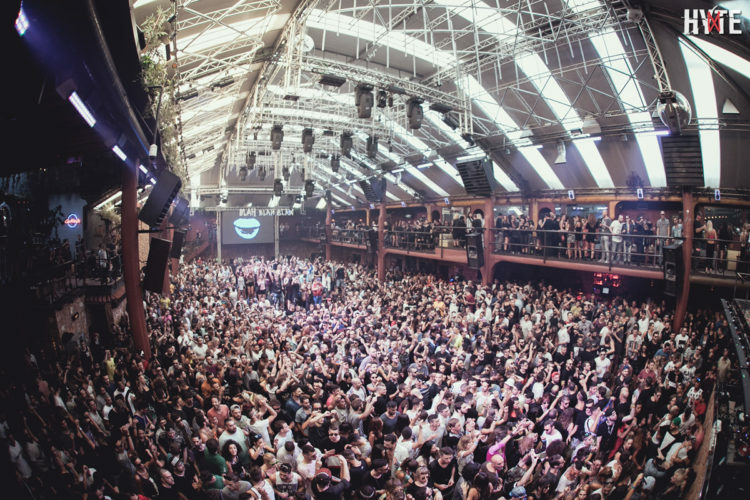 Diynamic Ibiza will see label boss Solomun headline the event, alongside Swiss duo Adriatique and Germany’s Kollektiv Turmstrasse on the terrace. Whilst, label favourites HOSH, Magdalena, Undercatt and Musumeci will deliver special sets in the club room. But that’s not all, on top of Pyramid’s mind-blowing performers be prepared to see Amnesia like it’s never been seen before due to its unique production/decoration made up of creative and organic materials, state-of-art technology and lighting. This is just the beginning of an unforgettable season for Pyramid, which promises to be one of Ibiza’s most exciting parties this year and welcomes you to dance, feel and live a party that has been so truly missed on the island for many years. Further season lineups will soon be revealed, but all we can say for now is that they’re going to be BIG!